Welcome Home for the Holidays! Greencastle/Putnam County Development Center, Inc.
For more information about our work and our organization, please contact us via e-mail or phone. We also have opportunities for a wide range of volunteer work. If you are interested in serving on the Board of Directors, please submit your name and resume in writing. The information will be forwarded to the nominating committee. 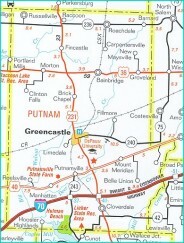 Greencastle / Putnam County Development Center, Inc.